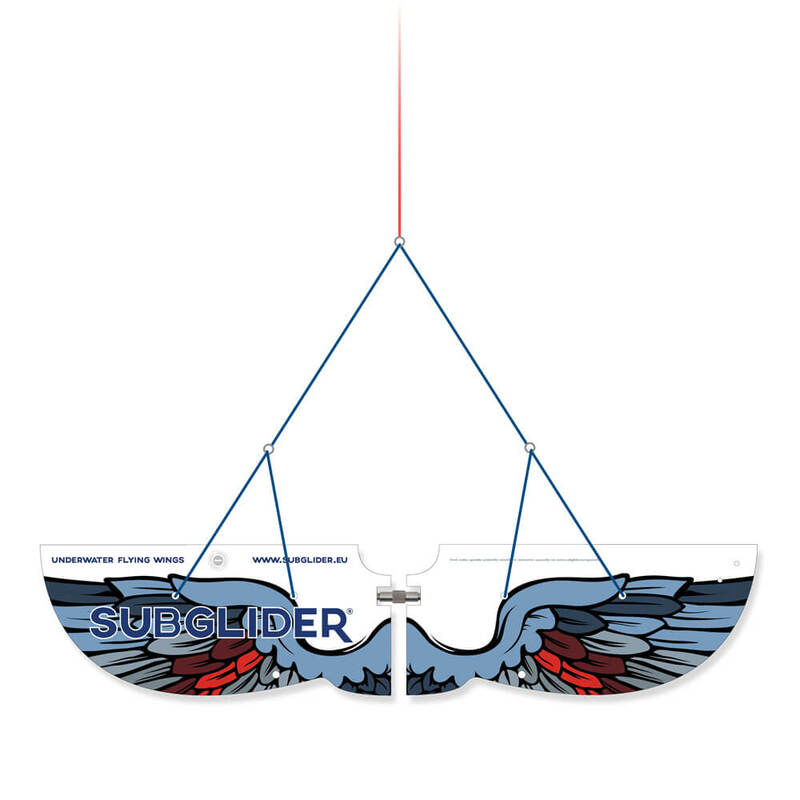 The Subglider is an accessory that enables swimming, turning and performing a range of underwater acrobatics using a boat (the design is shown in the picture). As it is used underwater, it is necessary to hold your breath and equalize ear pressure. 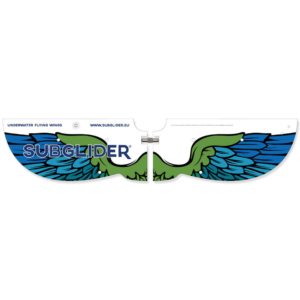 It consists of two symmetrical plates in the form of wings, which are interconnected with a swivel (a connecting element made of stainless steel), allowing the plates to rotate around their axes and turn underwater. 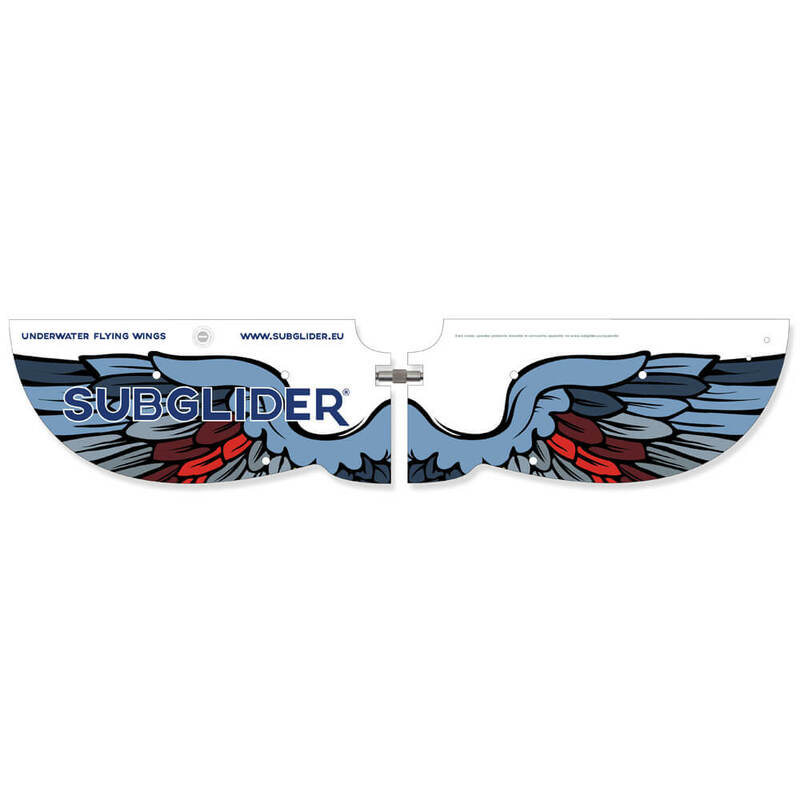 THE SET CONTAINS: Subglider wings, connecting element made of stainless steel, 30 m rope, instructions and security warnings. 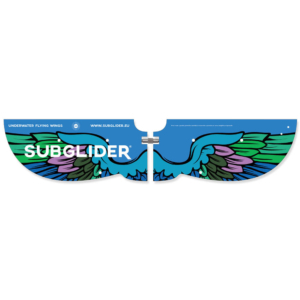 It also contains all the components required for the use of Subglider. The set does not include an underwater camera.